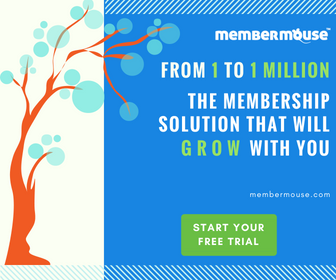 Today we’re really happy to announce the next release of MemberMouse with a major new feature — Dynamic Visitor Marketing (DVM). When it comes to advanced marketing features that drive higher signups, DVM takes the cake – any maybe the whole party as well. With the new DVM system, you can now create dynamic content based on the incoming traffic sources / links — allowing you to tune and target your marketing & sales to where the visitor comes from. With DVM, you can now create dynamic pages across your site based on where your visitor came from such as email, Facebook, Twitter, an advertisement, and more. Part of the beauty behind DVM is that your entire website, not just a single landing page, can become dynamic to your visitor. Using DVM, your promotion / offer can “follow” your visitor everywhere they go on your site and content will dynamically change to be more targeted to them. Another powerful use of DVM is the ability to test content, pricing, messaging, and more based on the visitor. For example, try giving a longer trial or 25% off for visitors from a PPC ad without changing the price for your other visitors. The possibilities are endless and you can implement some great tests this way. To get started using Dynamic Visitor Marketing, just go to the SmartTag library in your WordPress admin area and select [MM_AlternateContent] under the Smart Content group. New attributes for the Smart Content system – isMember & isFree. This will make using the Alternate Content SmartTags easier to use and open up some new options for your dynamic content. Enhanced the [MM_ChooseMembership] SmartTag to use productId as an attribute. Now you can specify which product to purchase when your membership level has multiple products associated with it – a great way to have special pricing or offers that not everyone can get. Enhanced the Quick Registration Links to allow for hidden memberships. Now you can use hidden membership levels as way to provide special offers on landing pages, advertisements, and more. Many bug fixes and enhancements to the PayPal, ClickBank, & Lime Light payment integrations.